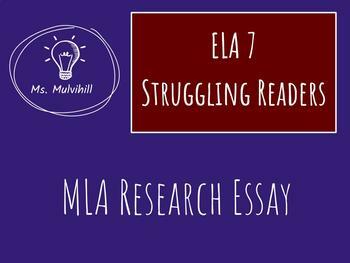 This is a very basic introduction to writing an MLA formatted research paper. 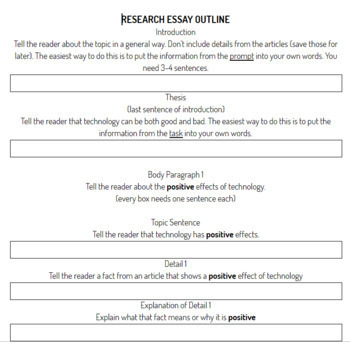 The sources are provided to students, and they are written at a low reading level, so students can focus on putting the essay together. 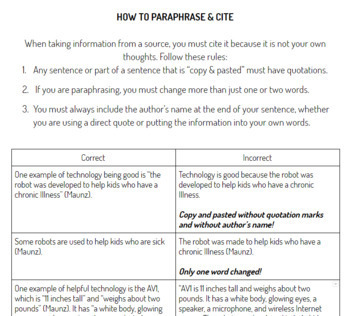 Includes directions, outline, template, three quizzes, and a guide for paraphrasing/citation and formatting. 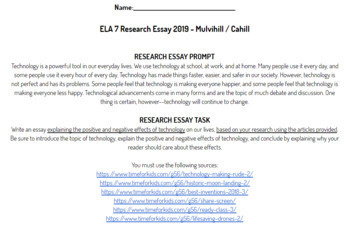 The Google Docs & Forms are completely editable.